What shall it profit you to enjoy the world and lose your soul? This is the reality many youths today are ignoring in their 'craze' for worldly pleasure. Be very careful, eternity is closer than you think. *The deaths of 3 associates of singer Davido has brought to the fore the disturbing trend of prevalence of hard drug use, alcoholic drinks and immorality among many Nigerian entertainers. 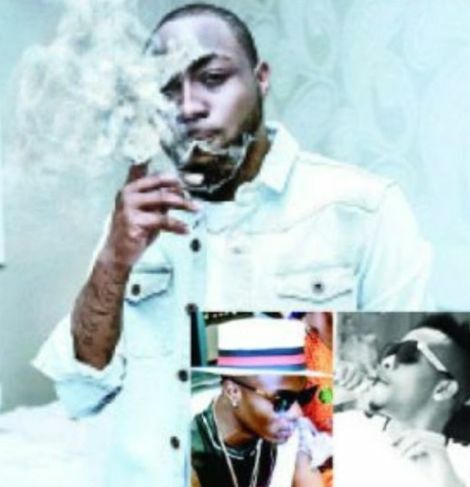 Davido attracted negative publicity penultimate week following the sudden death of one of his friends, Tagbo Umeike. Tagbo reportedly died in a controversial circumstance on the eve of his birthday, with actress Caroline Danjuma, who is alleged to be the girlfriend of the deceased, claiming that Davido had questions to answer on his death. Davido’s camp’s claim that his friend died after taking excess of Tequila, a brand of alcoholic drink made from the blue agave plant was pooh-poohed by the result of the autopsy carried out on the deceased by the police. The result, according to the police, showed that Tagbo died of suffocation. The polic recovered substances suspected to be hard drugs from a car in which DJ Olu and Chime died. The deceased were found dead in a BMW car in a garage on Block B, Banana Island, Lagos. Their journey to stardom, though may be tortuous, requires a lot of perseverance but achieving and maintaining untainted records having reached the peak of their careers continue to remain elusive to most entertainment stars with drinks, drug and s*x being their major pitfalls. For many, club houses and joints where ladies swarm round them almost n*de and where hard drugs and cocktails of different hard drinks can be easily got remain the slaughter slab for many celebs. Most Nigerian entertainment stars have had to deal with s*x scandal at certain point or the other in their careers. The yoke of baby mama syndrome hanging around the necks of a good number of the nation’s entertainers bears eloquent testimony to this injurious habit. The Sun's investigation showed that hard drugs are more prevalent at most night clubs all over Lagos. For hard drinks, sources say many Nigerian entertainers no longer derive satisfaction in single brand of drink as many have developed insatiable desire for cocktail of different brands. According to experts, hard drugs work as central nervous system (CNS) depressants by slowing down neural activity in both the brain and the body. The brain and spinal cord make up the two main organs in the CNS. Narcotics effects are believed to cause the nervous system to slow down. Experts say hard drugs weaken the immune system, thereby increasing susceptibility to infections. They cause cardiovascular conditions ranging from abnormal heart rate to heart attacks, nausea, vomiting and abdominal pain. In most cases, hard drugs cause the liver to have to work harder, possibly causing significant damage or liver failure. Different drugs are said to have different effects on the body system ranging from hallucination, depression, liver and kidney problems and fits. Some illegal drugs are known to kill the first time the person takes them. Experts say many people use narcotics because they claim they get a “lift”. In the past, Indian hemp, cocaine and heroin were the common drugs. However, these days, they come in different forms and names with the youths experimenting with all sorts. The prevalence of hard drug use, according to Pastor Nathaniel Okafor, national coordinator, Rescue the Lost Mission, a Christian organisation dedicated to assisting drug addicts, is underscored by the false impression that hard drugs imbue them with confidence needed to be able to face the crowd. “It is a total misconception to nurse the belief that hard drugs aid artistes to overcome stage fright. What most hard drugs do is actually to confound their sense of reasoning. This is what most of them erroneously interprete as confidence-boosting function of hard drugs. Unknown to these youths the damaging effects of hard drugs on their health and careers far outweigh the flawed belief they tend to have in them,” Okafor submitted. Okafor’s view was echoed by a one-time President of the Performing Musicians Association of Nigeria, PMAN, TeeMac Omatsola Iseli. The renowned flutist noted that only immature musicians would resort to taking hard drugs to boost their confidence level before taking to stage. Attempts to get the reaction of the NDLEA proved abortive as calls to the mobile line of the agency’s spokesperson, Mr. Jonah Achema, were not answered even as a text message sent to the same line was not replied, as at the time of filing this report.